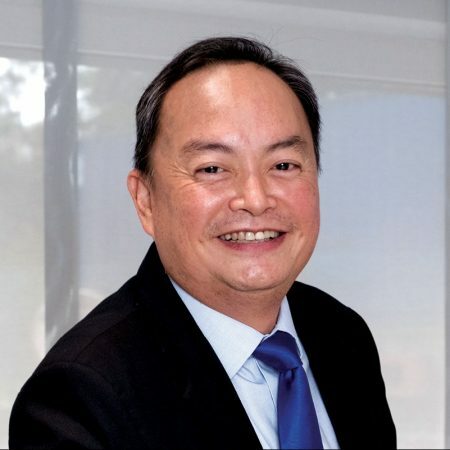 Slowly but surely, Albert Chua has spent the past 22 years working his way up the ranks of Swiss-based equipment manufacturer Liebherr, first as regional sales manager for the Mobile Cranes division in 1995 and then all the way to the top as managing director of Liebherr Singapore in 2011. 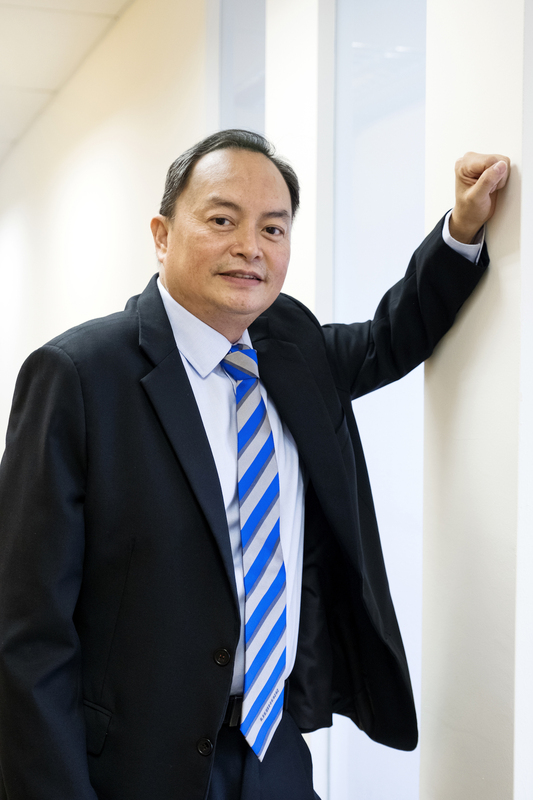 Albert currently oversees all seven of the company’s divisions: Mobile Cranes, Tower Cranes, Construction Cranes, Earthmoving, Appliances, Aerospace and Maritime. “Every industry is different, so one of my jobs is to synchronise all these different interests and coordinate a market strategy that caters to all the different perspectives within the region,” he says. The CEO Magazine spoke with Albert and asked him about how he built up his reputation over that time, as well as how his long tenure has helped him in his current position. The CEO Magazine: What is it like working with a European company and trying to make the business model work in Asia? Albert: The traditional mindset of a European company is to design and build something in Europe and then sell it around the world. We all knew that was not going to work in the long run because we never received proper feedback from Asian customers, such as what do they need, is it relevant, or have they overdone the certification? This is probably why some of the staff from Europe came out to Asia. In the past, there was also a distinct difference between the European technologies compared with their Asian counterparts. But over the years, you can see that the Asian manufacturers are also learning very quickly and becoming more competitive. Of course, the technology is still not up to European standards, but the gap is certainly narrowing. It’s only a matter of time before Asian manufacturers will be at a level very close to the European equivalent. The gap is much closer now compared with 10–20 years ago. You mentioned that you’re a keen badminton player. How has that helped your approach to business? It doesn’t matter who the other person is when you’re playing a game. They can be the CEO of a company or they could be a taxi driver. It doesn’t matter. It has encouraged me to build friendships with a lot of people regardless of their background. Sport has in a way shaped how I behave not only in business management but as a person too. When you’re in competitive sports, it helps in developing your determination, having an objective and forming a good strategy. When you play a competitive game, you need to do certain things in order to win. You need to train, you need to be cool under pressure, as well as have other crucial attributes that are more or less helpful in fostering leadership. How have you coordinated your strategy in running all of Liebherr Singapore’s seven divisions? Because each division operates in its own specialty industry and requires unique knowledge, it’s impossible for me to know every field, which is why I have general managers for each of those divisions. For me, it’s more about supporting them, and then making sure the kinks are ironed out with regards to the policies, strategies and execution. Of all the divisions, I’m more direct and hands-on with the Tower Cranes and Mobile Cranes divisions, as that’s where my background lies. On top of that, the geographical coverage of our divisions is also different. For example, Aerospace and Appliances cover Asia–Pacific. The Mobile Cranes Division also covers Central Asia. Maritime and Earthmoving are in South East Asia. Then there are Liebherr’s sister companies in the region. We have Liebherr in Thailand, Malaysia, and China, to name a few, and we work with them as well. It’s quite complex. How do you untangle all these complexities across all those divisions? First, one of the advantages I have for this job is having been with the organisation for a very long time. It’s been 22 years now, and I worked my way up. Liebherr is a family-owned company. It’s not like one of those hot American companies that hires and fires. You can go step by step, and along the way you can prove your worth and win the trust of your European colleagues, which is very important. I should emphasise that a lot of support is necessary in my role. Support is more than just giving orders and saying, ‘Okay, we should do this and that.’ The support only comes because you’ve been in the system for a long time and know how the company works, because you know who to talk to at the right time, and understand people’s needs and what their concerns are. Support is more than just giving orders and saying, ‘Okay, we should do this and that.’ Support only comes because you’ve been in the system for a long time. What approaches do you take with regard to your personal relationships with your clients and suppliers across all the different products? There are three areas of the organisation that I watch out for when it comes to communication. First, is there internal communication between colleagues in the different divisions so I can synchronise and coordinate accordingly and not have to reinvent the wheel? Second, what are the external relationships we have with customers and suppliers? In the Crane businesses, we’ve had very close relationships spanning around 50 years. The customers or dealers of other divisions I don’t know so well, but sometimes we do meet up or have some other kind of arrangements. Another area I really focus on is the communication between the factories. Since Liebherr is a big group, I need a lot of support from Europe and also from the managing directors of all the various factories manufacturing products for Singapore’s seven divisions. Now that you’ve been a managing director for the past six years, what do you think is most important in creating effective leadership? For me, a lot of it has to do with accountability. My approach to leadership is that my colleagues who have reached a certain level should know what they need to do professionally. I don’t coach them or watch what they do on a daily basis. Generally, I don’t micromanage. But I’m very hard when it comes to expectations. I have high expectations of my staff. Over the years, have there been any industries that are not part of your background that you’ve developed an interest in as you’ve learned more about them? The job allows me to learn a lot about the various industries and divisions that I’m involved in. Of course, I get a lot of information and training from my general managers who are specialists in their respective industries. Even within the Tower Cranes business, which is my specialty area, the things we do have changed over the years. We used to just sell and provide after-sales service for the machines we manufacture. Because of changing needs and market demand, however, we have now gone one step further. For example, we are into the rental business for tower cranes, which we didn’t do in the past, but it’s just necessary now because the supply chain is getting shorter. What strategies are you putting forward to ensure Liebherr Singapore remains competitive into the future? I think the Liebherr Group has only a small part of its turnover in Asia – about 10%. It definitely wants to do more in Asia over the next few years, so we will be investing and looking at increasing our land sites. We have a chance to buy those sites, so we are talking to the Singapore Government about them right now. If everything goes smoothly, we should be able to do a few things. We want to increase our repair capabilities for the Aerospace Division. Currently, we have a repair shop, but we want to do more, including landing gears. Basically, we want to serve our regional aerospace customers better and maintain our service to increase the new product line at some point, such as the 350 Advance and Bombardier C Series. We want to build Liebherr Singapore into a regional rental hub for tower cranes. We bought our dealer in Hong Kong, Shriro Machinery, three years ago. Now we have a rental fleet of about 50 units of tower cranes in Hong Kong. We want to increase that and spread it Asia-wide, beyond Hong Kong. For the Mobile Cranes Division, we want to build a repair hub in Singapore to better serve our customers in this region. And then, in other divisions, like Appliances, we want to go into direct selling through ecommerce. This is the plan of the group moving forward. Overall, we hope to synchronise all of Liebherr’s efforts for the Asia region as well.